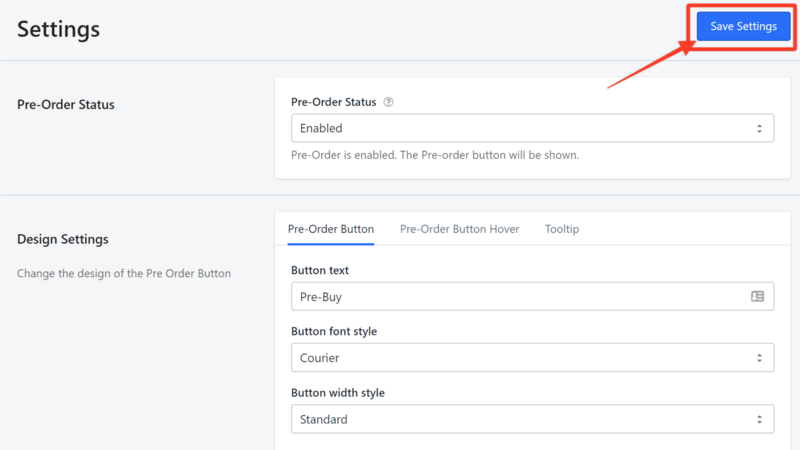 Can I adjust the width of the pre-order button? Question: I notice that the pre-order button on my online store is too broad and extends too long. Is it possible to adjust it? 1. Launch the app and click General Settings. 2. Scroll down to the Design Settings section. 3. Click the drop-down arrow under Button width style and choose Standard. Your pre-order button is now adjusted.